Looking for private in-home or in-studio Flute lessons? Our Tuckahoe teachers are ready to get you started. Find your teacher today! Check out some of our most popular teachers near Tuckahoe, NY including New York, Brooklyn, Bronx, Jersey City and Astoria. As a teacher, my goal is to instruct as well as inspire each student to reach for his or her highest potential. I hope to give each student the tools to progress so that one day they can be their own best teacher, and play with a sound and style that is uniquely their own. Most importantly, I hope to instill a desire to learn and a mindset that the art of flute playing is fun and that it is just as we call it--playing. ​Parental support and involvement is key to any child’s progress. All levels of NYSSMA are taught and prepared for perfect scores . Hello, potential piano proteges'! ...Being a piano protege as a child myself, I have been teaching piano, organ, and flute for over 25 years since and I currently have students that range from children to adults.While you are learning to play piano, you will be playing popular, classical, hymns and all types of music. I am a keyboard and composition major at Stony Brook University and play many musical styles like pop, standards, classical, swing and rock 'n roll. My students were finalists in the Yamaha Electone organ competition. From 4th grade to High School graduation, I received NYSSMA awards and scholarships as a flutist. Our 5 year old enjoys attending her lessons. She is very creative and skilled with younger children. He feels at ease and is learning the basic art skill of piano with every lesson. I've been playing the flute most of my life and studied with a few of the best flute professors in the country. I have been teaching privately for 7 years. My teaching style is very flexible, though I expect dedication and hard work from my students. 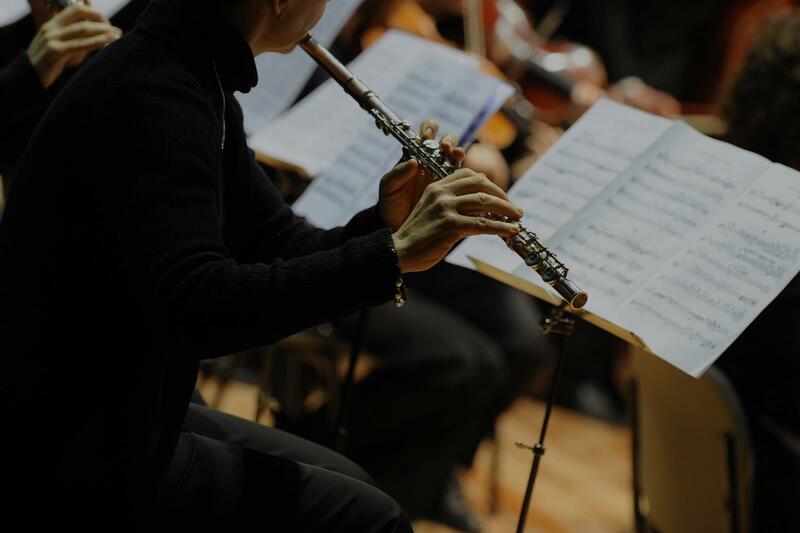 As my student you will learn not only flute, but you will gain a general knowledge of music theory and harmony, knowledge of musical phrasing and interpretation, as well as proper movement and body alignment similar to Alexander techniques. I have 10+ years of international teaching experience - spanning from Europe, to America to the Far East - and I greatly enjoy putting my experience to service in order to bring students to love their instrument and help them envision how to make music a part of their human experience, either if taken professionally or just for fun! I am very easy going, flexible to adjust to each student's needs and requests, and resourceful in terms of pedagogic techniques to make each and every lesson a step forward! Hello there! I am an Italian flutist based in New York City. I offer Flute and Italian lessons, both from beginner to advanced level. As a musician, I hold degrees from Santa Cecilia Conservatory in Rome (Italy), Ecole Normale in Paris (France) and Yale University (USA). I have conducted a successful pedagogic career since 2008, serving as Guest Professor at several international institutions. I have extensive experience as a private studio professor, and I enjoy my work very much! As a language tutor, I am a native Italian speaker, born in Rome and educated in Italy up to university level. I have a lot of experience teaching Italian, and also provide pronunciation coachings for classical singers. I focus my teaching on conversation, as well as reading comprehension and writing. I really enjoyed my first lesson with Ginevra. Pushed me but patient. Great teacher! Ginevra is a lovely, warm person and a very experienced teacher who seems to genuinely enjoy teaching. I've been playing flute for 25 years, and teaching for almost 10 years to students all ages and levels. I'm specialized in classical repertory and public performance. Throughout weekly lessons, my students develop proper techniques for practicing efficiently and also learn ways to seek out the great instrumentalists and music that speaks to them. Sound, technique, musicality, and expression are the corner stones to my teaching and practicing. Hello! My name is Ian Levy and I specialize in Saxophone, Clarinet, and Flute private study. As a graduate of the New School - College of Performing Arts, regular performer, and private teacher in New York City, music has been the passion and greatest joy of my life. Private teaching has been the most rewarding experience and balance to my own professional career in music. Throughout weekly lessons, my students develop proper techniques for practicing efficiently and also learn ways to seek out the great instrumentalists and music that speaks to them. Sound, technique, musicality, and expression are the corner stones to my teaching and practicing. I see it as a great honor and serious responsibility to be able to teach music. I have a master's in music education, a bachelor's in flute, and have done additional training in the Suzuki method. I recognize that each student is unique and I am comfortable working with multiple levels and ages. I believe all students should feel supported and encouraged to be expressive players and thoughtful musicians. Can't find a teacher in Tuckahoe, NY? positive energy that makes the struggle a pleasure!" New York, NY teacher: Rebecca S.
"My daughter has the 1st lesson and she love that. Melanie is very easy to work with and friendly. Will continue the lessons in the future." New York, NY teacher: Melanie S.
New York, NY teacher: Kelley B.
I thought it'd be good to pick it back up as a hobby in the city. She's been really great with helping me improve my tone and has a lot of knowledge. I'm excited to build my repertoire with her!" proved greatly since Rebecca has been giving her lessons. My daughter always looks forward to her lesson with Rebecca." "My daughter just tarted the flute. She likes these classes a lot!" New York, NY teacher: Gleb V.
at I can work on and improve." g me along the way with pointed advice. If you are looking for a terrific flute teacher, you found one ." New York, NY teacher: Frances B.